New observations from NASA’s Chandra X-ray Observatory may help explain why some supernova explosions are more powerful than others, supporting the idea that some of the unusually luminous supernovas are caused by the blast wave from their explosion ramming into the material around it. Observations with NASA’s Chandra X-ray Observatory have provided the first X-ray evidence of a supernova shock wave breaking through a cocoon of gas surrounding the star that exploded. This discovery may help astronomers understand why some supernovas are much more powerful than others. On November 3, 2010, a supernova was discovered in the galaxy UGC 5189A, located about 160 million light years away. 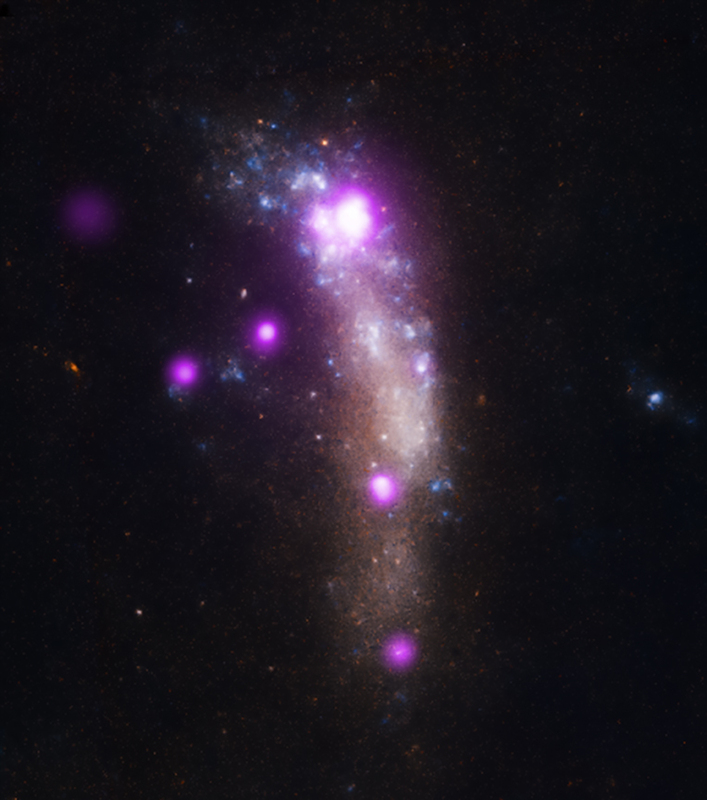 Using data from the All Sky Automated Survey telescope in Hawaii taken earlier, astronomers determined this supernova exploded in early October 2010 (in Earth’s time-frame). In optical light, SN 2010jl was about ten times more luminous than a typical supernova resulting from the collapse of a massive star, adding to the class of very luminous supernovas that have been discovered recently with optical surveys. Different explanations have been proposed to explain these energetic supernovas including (1) the interaction of the supernova’s blast wave with a dense shell of matter around the pre-supernova star, (2) radioactivity resulting from a pair-instability supernova (triggered by the conversion of gamma rays into particle and anti-particle pairs), and (3) emission powered by a neutron star with an unusually powerful magnetic field. In the first Chandra observation of SN 2010jl, the X-rays from the explosion’s blast wave were strongly absorbed by a cocoon of dense gas around the supernova. This cocoon was formed by gas blown away from the massive star before it exploded. In the second observation taken almost a year later, there is much less absorption of X-ray emission, indicating that the blast wave from the explosion has broken out of the surrounding cocoon. The Chandra data show that the gas emitting the X-rays has a very high temperature — greater than 100 million degrees Kelvin – strong evidence that it has been heated by the supernova blast wave. This discovery therefore supports the idea that some of the unusually luminous supernovas are caused by the blast wave from their explosion ramming into the material around it. 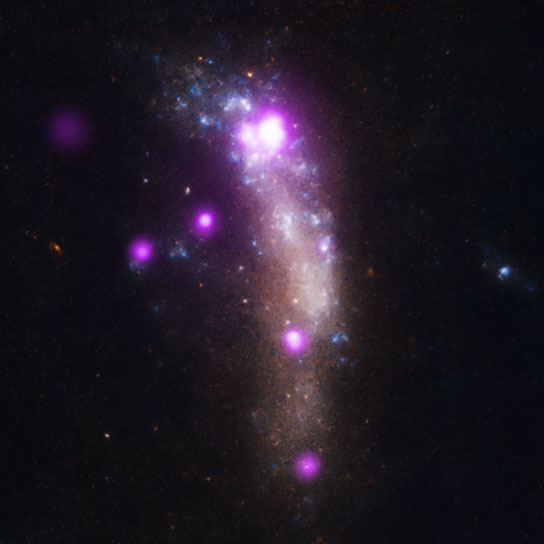 Be the first to comment on "Supernova Shock Wave Breaks Through a Cocoon of Gas"